Much of the material in this popular text has been updated. 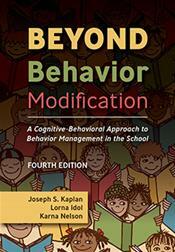 The introductory chapters include proactive behavior-management strategies and a comparison of popular approaches to behavior management. The book's extensive coverage of data collection has been expanded to include new material on trend estimation and interpretation. Both traditional behavior modification, and current social learning theory approaches are discussed. Each chapter begins with objectives. Short assessments called "Checkpoints," included on the accompanying electronic file, allow the readers to test their understanding of the material as it is read. Concrete examples, helpful tips, and step-by-step instructions add everyday practicality to the text. This book is ideal for use as a resource for teachers or as an adopted text in basic or advanced behavior-management courses.